What is a prepaid card? It’s simple: Unlike a debit card, a prepaid card does not link to your bank account. Instead, you load money onto prepaid cards in advance and you typically can’t spend more than the available amount on the card. Explore these six best prepaid debit cards on the market and see if a prepaid debit card is right for your financial needs. If you want to get cash-back benefits, consider this Walmart prepaid debit card when you’re comparing reloadable prepaid cards. 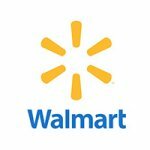 You’ll get 3 percent cash back when you shop on Walmart.com, 2 percent when you make purchases at Murphy USA or a Walmart fuel station and 1 percent if you make purchases at a Walmart location. You’ll also get up to $75 in cash-back rewards per reward year. If you set up a free direct deposit, you can get paid up to two days early without paying preload fees. And if you’re a frequent Walmart shopper, you can load cash on your card and buy money orders at an in-store Walmart MoneyCenter Express. You can get paid up to two days earlier when you set up direct deposit, and you won’t be subject to any purchase transaction or overdraft fees if you choose this prepaid debit card. You can earn 5 percent cash back for a maximum of $100 per year. 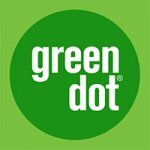 You don’t need a credit check to get this card, and you can deposit checks from your smartphone, send money to another Green Dot card instantly and write checks to pay bills. 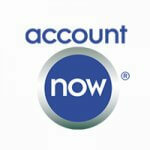 American Express will approve you for a prepaid debit card without a credit check. You can withdraw cash for free at more than 24,000 MoneyPass ATM locations around the country and enjoy features such as free online bill pay, mobile account management and 24/7 live customer service. Click to see the best debit card rewards programs. If you have a PayPal account, you can get a prepaid debit card for free. You can add money to your card by direct deposit, via a check or bank transfer or by generating a barcode from the PayPal app to add cash to your account at one of 20,000 Rite Aid, CVS or 7-Eleven locations across the country. 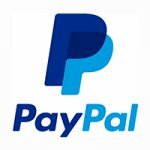 You won’t pay any monthly or annual fees with this PayPal card. 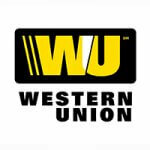 If you need to make money transfers and want a prepaid debit card with cash-back rewards, consider the Western Union NetSpend Prepaid MasterCard. You can set up direct deposit for your paycheck or government benefits and receive the funds two days faster than you would without direct deposit. In addition, you can get cash back and referral rewards — the Refer-a-Friend program earns you $20 for each friend or family member who loads at least $40 on a card. Use the card’s optional savings account to start saving money — you’ll get a 5.00% APY on balances of up to $1,000. Click to see why the Walmart MoneyCard is one of the best prepaid cards. 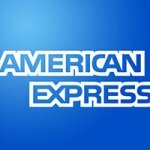 GOBankingRates.com identified the best prepaid debit cards by analyzing fees, loading options and places where the cards are accepted. All fees and rates are subject to change at the debit card issuers’ discretion, and some bonus offers might no longer be available on the providers’ websites, depending on how you access the web page.